The UK is known for producing some truly great TV shows, and the famous game shows they’ve made over the years are still classics to this day. There is no denying the appeal of British game shows, and some of them remain hugely popular to this day. The Brits are often trailblazers when it comes to television programs, especially game shows. The best game shows in the market are compelling, interesting, and make you want to be a part of them. Sometimes you can play along at home, other times you just wish you could play along. Check out these ideas of some of the best TV game shows on the market – we could watch these shows again and again! 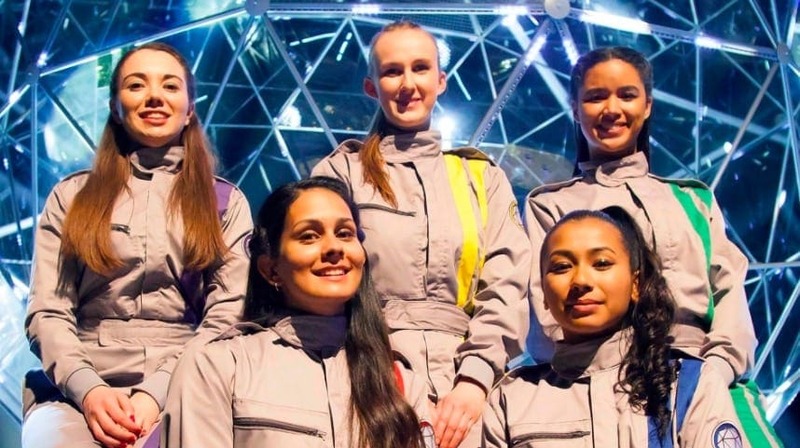 Perhaps the most fun and beloved of all the classic British game shows, The Crystal Maze is still going to this day. Yes, it has gone through several different presenters in the past – Richard O’Brien was clearly the best – but the essence of the game remains. Contestants must complete a series of tasks – skill, mental, physical, and mystery. These take place in different zones within the Crystal Maze, specifically Aztec, Medieval, Futuristic, Ocean, and Industrial. Upon completing tasks, the contestants win crystals that give them 5 seconds (per crystal) in the crystal dome to collect as many golden tickets as they can and claim prizes. Pointless may not have been around as long as some of the others on this list, but it is quickly becoming a modern classic. What’s so fun about this game is that its premise is the opposite of what you might expect. Instead of being quizzed on knowledge, you have to know really obscure answers you think nobody else will know. For every pointless answer, £250 is added to the jackpot. This is a thrilling and fun game that is played in pairs, and a great way to test the depths of your obscure and pointless (sorry) knowledge. Running from 1971-2007, The Generation Game was one of the best game shows ever to grace television screens. Presented by British legend Bruce Forsyth, the show follows four teams of two people (each pair different generations of the same family) as they compete to win prizes. Perhaps the best part about this show was how amazing some of the prizes were. We used to watch this show a lot as kids, and wish we could be on it scooping some of the excellent prizes up for grabs. The show that was a trailblazer in many ways, and presented by Cilla Black from 1985-2003. Blind Date saw a single contestant having to ask questions to three potential suitors, hidden behind a screen, and choose one on the basis of their answers. Blind Date was most definitely a product of its era, and the revival show today seems a little dated. But at the time it was a hugely important show and paved the way for similar programmes, such as Take Me Out. These are just a few of the stunning UK game shows we absolutely recommend you check out. There have been so many excellent ones over the course of the years, but these are definitely up there among the best. They appeal in terms of the format and the prizes, and, above all, they make us want to be a part of them.